Hi my name is Natalie, I have lived and worked with dogs for most of my life and have learned a great deal from hands on experience. I am a Qualified Advanced Instructor with the PDTI and have a level 5 Diploma in Canine Training and Behavioural Management. 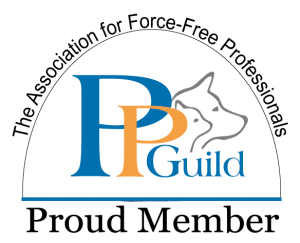 I have also been accredited by the Pet Professional Guild as a Professional Canine Trainer PCT-A. I use force free methods and update my knowledge on a continual basis. I’ve worked for the RSPCA and other rescue centres, as well as learning from top behaviourists like Chirag Patel, Kay Lawrence, John Rogerson, Robert Alleyne and Angela White to name a few. I have taken both theory and practical courses on canine psychology, advanced training, clicker & target training, behaviour counselling which included behaviour modification programmes, separation problems, fears & phobias, dog/dog aggression, dog/human aggression, obedience training, tracking, detection and hearing dog work, however I am not a qualified behaviourist, I am a dog trainer who deals in most types of behaviour problems. I understand that problem behaviour needs to be looked at in depth by going beyond the realms of treating the symptoms and looking for the root cause of the problem, so that it doesn’t re-surface at a later date. My methods are reward based and my purpose is to enhance the quality of life for both you and your dog. Consultations can last up to 2hrs and cost around £75 plus mileage. Afterwards a behaviour modification program will be emailed to you and advice given over the telephone for as long as is needed. I also offer one to one dog training at £35 per hour, plus 40p per mile for fuel if outside of Gloucester. The training techniques you will learn are designed to help your dog figure things out for himself, this results in a much quicker learning process. It also helps you to build a fabulous relationship with your dog. The techniques used are all reward based and force free, so that your dog looks forward to each training session with an eagerness to learn! Add to this some valuable cues to help with control in difficult situations and you end up with a well adjusted, well behaved dog. Please Contact us for more information, or to book a session call or text 07730612452 and I will get back to you asap. As laws get tougher on dog ownership, we hear more and more cases on TV and in the newspapers of dogs biting the hand that feeds them. Far too many dogs are abandoned or put to sleep every year for showing normal instinctive behaviour. Whilst many dogs live happily in our environment, others are confused as to what we require of them. They are very good at reading human body language, and although many owners don’t realise it they are constantly sending out the wrong signals to their dog. 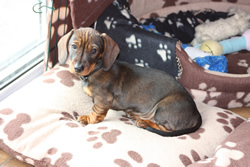 This can cause the dog to become stressed, which in turn can lead to problem behaviour. Dogs can show stress in many ways, and most owners may just think they’ve got a mad dog that jumps all over people, chews the house when they are out, maybe shows aggression when he doesn’t get his own way etc. etc. We interpret this as bad behaviour, but it is really just normal canine behaviour exhibited in the wrong way. In order to correct most behavioural problems you, the owner, need to learn how to communicate with your dog in a way in which he understands and enjoys. Training without force or intimidation builds an excellent relationship resulting in your dog willingly doing the things you ask it to do. Don’t give up on your dog, I can teach you how to do this. In 2008 over 96,872 dogs were abandoned and picked up as strays, 6,710 were killed simply because of a lack of new homes – at least one dog every 80 minutes dies because humans have let them down. This figure will never reflect the amount of dogs lives that are lost due to behaviour related deaths. That figure is far higher than you could ever imagine. Please don’t let your dog end up this way because of a lack of training! Areas covered – Gloucester, Cheltenham, Newent & the Forest of Dean.